55 cm size is currently out of stock. 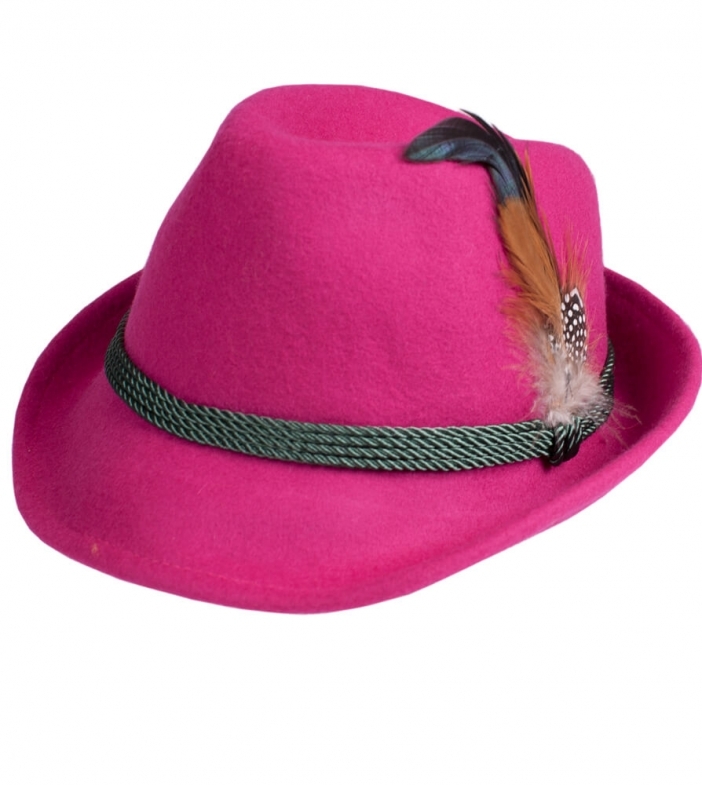 Step out in traditional style wearing this beautiful Bavarian hat. Perfect for Oktoberfest or any other festival or special occasion, this eye-catching costume hat looks great teamed up with a traditional Dirndl dress. Comfortable and uniquely-designed, this hat features a pinched crown encircled by four cords that hold a feminine feather in place.